The philosophy of the organization is that involvement with real project-based experiences stimulates motivation in learning which transforms students to be become empowered by education. The organization relies on the successful track record of its key staff members and Board Officers to direct its success. 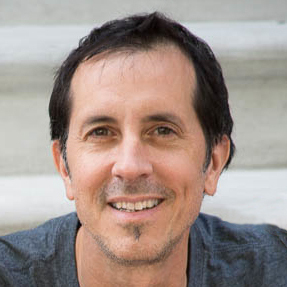 John is a sculptor, designer, entrepreneur and educator who believes that a better world is possible. With a master’s degree in fine art, and a long lineage in mechanical engineering he began his career developing museum exhibits and exploring new ways of learning and understanding the natural sciences. While working at the California Academy of Sciences and New York’s American Museum of Natural History he advanced unique new methods of information presentation and authored numerous exceptional fabrication techniques. He when on to successfully run his own fabrication studio in Brooklyn called Exhibitology Incorporated, where he continued to redraw the boundaries conceived form and materials. As a creative director, he has led think-tank project development collaborations, with his team of designers, for some of the world most recognized brands. His development in teaching 3-D design at Louisiana State University, along with a series of teaching experiences in children’s art camps, in tandem with the NYU ITP program, has become the basis for the hands-on curriculum program he has developed for 6-12 grade students to learn the design thinking process, and help create a generation where everyone is a problem solver. 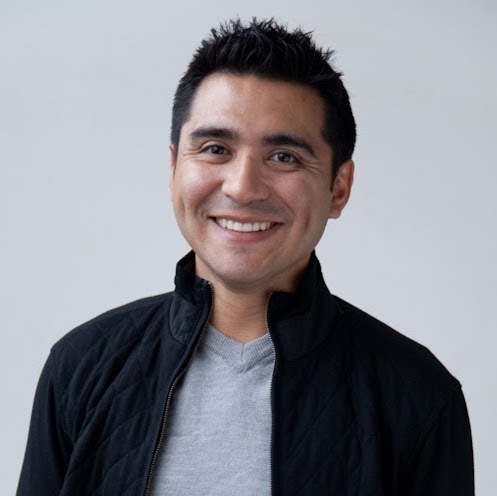 Nelson is a passionate, innovative designer that believes in creating simple yet captivating design experiences, and he is continually striving to find a balance between design and functionality. He is a native of Bogotá, Colombia and has used the influence of this beautiful landscape in his work. As a child, his sense of wonder brought him to both art and music, and this open exploration has progressed into a career in Industrial Design. While developing his career he began teaching in new areas of digital design software and found this a richly rewarding connection – as learning becomes a renewable creative resource for both student and teacher. His work in teaching solution based design, along with his childhood experiences have brought him to the Alliance for Digital Fabrication Education, to facilitate opportunities for young people to expand and excel at design thinking and mentoring their career paths. Hanny is a multidisciplinary Artist, Designer, Educator, and Activist. She is an alumnus of NYU’s ITP program and her work explores the aesthetics of wonder and attention. She works across disciplines and mediums as well as exploring with communities around the globe. As an educator, Hanny believes in alternative learning methods which empower students often sidelined by traditional education, and works as an advocate for these students- with a goal to heal our unhealthy belief systems. 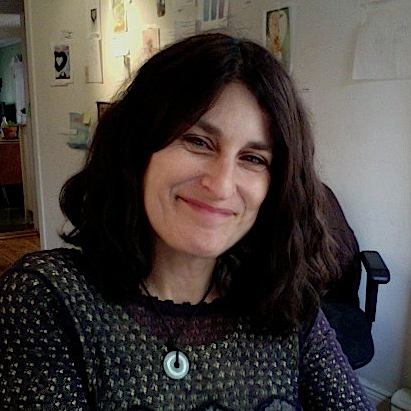 She draws from her experience in practice with high-risk students at Manhattan’s City as School, Brooklyn’s Powrplnt Digital Arts, and Kenya’s Pepo La Tumaini, and she brings this to her leadership in establishing adfab:Ed’s relationships with under-recognized communities. Leslye is an artist, teacher, parent, and activist. Her entrepreneurial drive continues to inspire her artistic visions in multiple forms. Currently, she is the CEO of Love, Leslye greeting cards, where she is in charge of the daily operations and channeling this media’s power to reach outward. Using the painting medium, biomorphic abstraction, computer technology, and laser technology, Love, Leslye communicates a unique vision for the importance and power of being connected. Leslye is an outspoken activist for education reform, with a goal of strengthening New York City’s existing Public School system and she has been a key organizer and advocate in school politics in Brooklyn where she teaches. In the classroom, she consistently works to educate the whole child by stimulating critical thinking and social and emotional learning skills. As part of the Alliance for Digital Fabrication Education, she is spearheading the curriculum development, which uses a whole child approach combined with the use of digital tools. Nancy is an educator and curriculum developer, who is interested in creating project-based learning programs for use by educators in formal and informal settings. 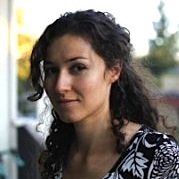 She studied Mathematics and Psychology and brought both these disciplines to her Master’s studies at Stanford’s Transformative Learning Technologies Lab. She has since been instrumental is bringing the FabLab@School learning model to Central and South America with her company Active Emergence, and more recently working with the Beam Center on programs inside NYC Public Schools. She believes in creating safe environments for learning, which allows students to experience the empowerment of problem-solving, and the design thinking process. She brings this point of view to her advisory role with adfab:ED to help foster engaged learning for all. 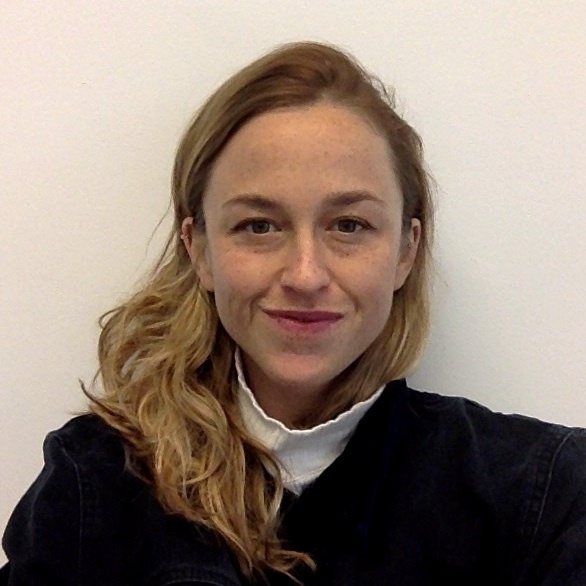 Christine is Assistant Professor of Exhibition Design at the Fashion Institute of Technology and also teaches at the High School for Fashion Industries. Her attention to students is unparalleled and she draws this same passionate engagement from them with a mixture of traditional art media and digital technologies. With her Masters from NYU’s Interactive Telecommunications Program, she presents exhibit design skills-building in a formal education setting through an experiential learning classroom context, which provides an opportunity for knowledge building while supporting invention and creativity. She brings her extensive education experience to the role of advisee for adfab:ED, along with an excitement for new technology.